As you begin decking the halls and spreading cheer this season, why not add a new song into your holiday playlist rotation? As much as we love those time-honored holiday songs, sometimes you just need a little variety. So with this in mind, we bring you a sampling of our favorites in our holiday playlist. Here you’ll find those staples you know and love, as well as some fresh finds to keep your class moving and sweating through those intervals! Consider this holiday playlist your soundtrack not only for your indoor cycling classes this year, but also for cookie baking, gift wrapping, and that long ride to Grandma’s house! At ICA, we try to add new tracks to all of our annual playlists so you have some fresh resources every year. However, I admit that this one was too large and included too many “classics” that weren’t really good for cycling. That made it hard to use. So, even though we added several dozen fun new tracks this year, I pared this holiday playlist down from over 400 songs to 176 songs. You can find those old classics anywhere, so if you decide to play them as background music, you don’t need us to provide them for you! I tried to leave only the ones that have a little cycling oomph to them (translation: they have a beat and energy) to help you turn the pedals. There are still a few that are better for cool-down, stretch, or pre-class, but I tried to keep them unique. 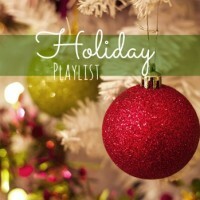 I know you’ll enjoy perusing this year’s holiday playlist. As usual, if you have some great songs that we are missing from our playlist, please leave them in the comments. Are you getting into the holiday spirit with your class this year? What’s your favorite Christmas song? Tell us in the comments below! Can you give a profile for some of these songs?? Those will be posted next week, Sonya!